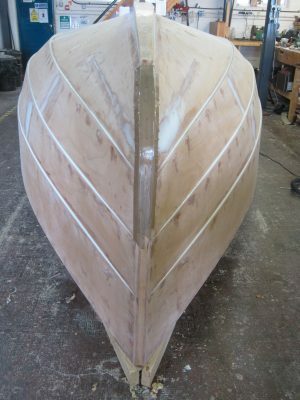 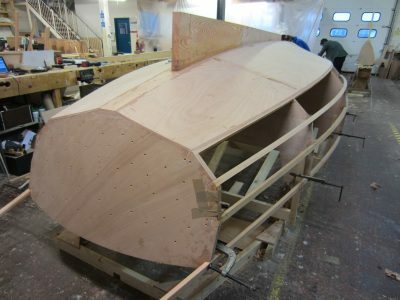 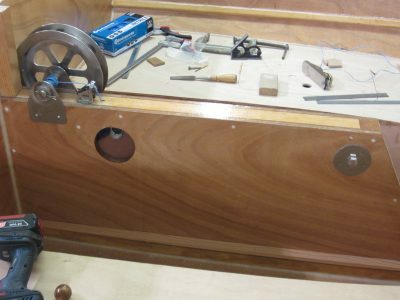 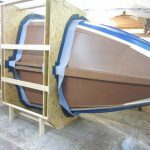 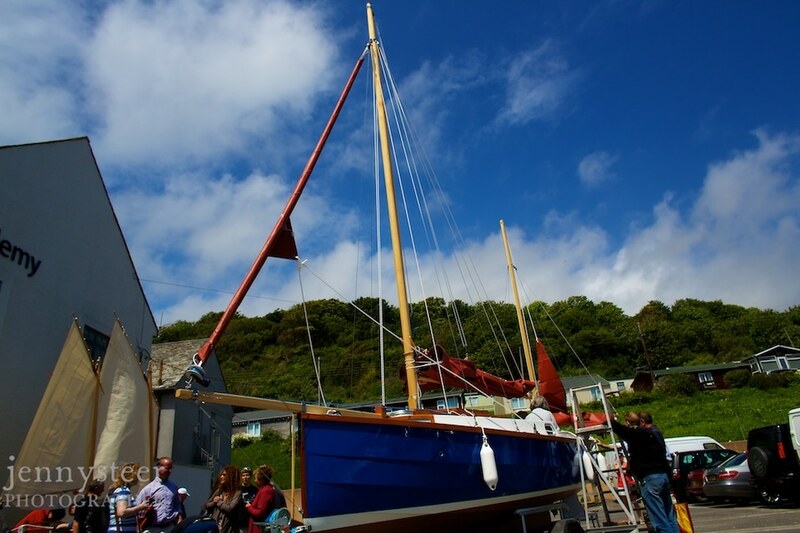 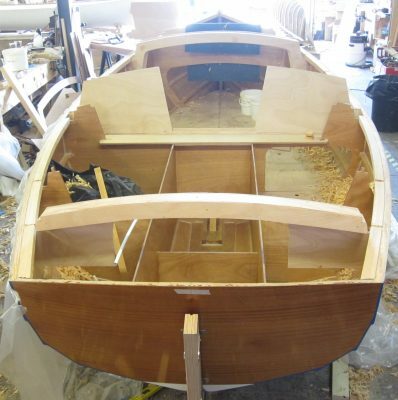 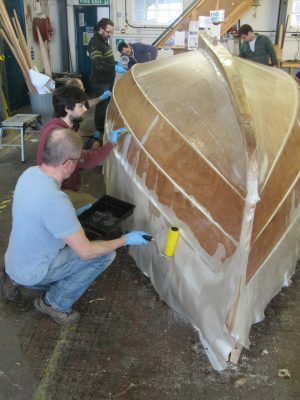 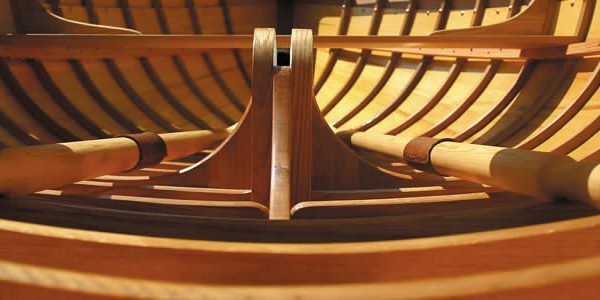 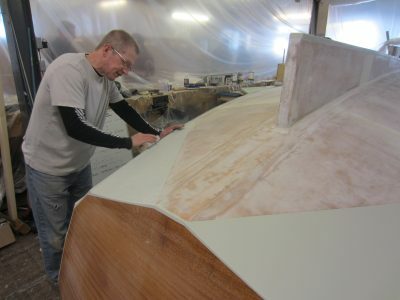 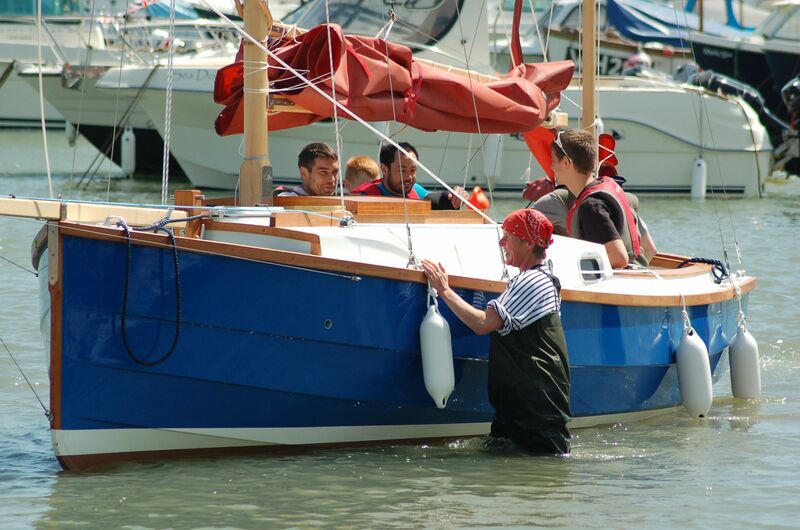 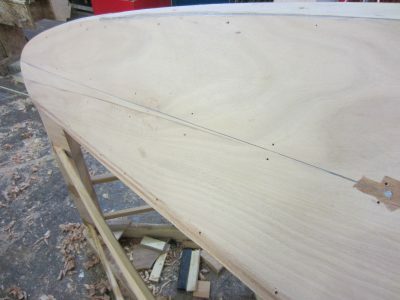 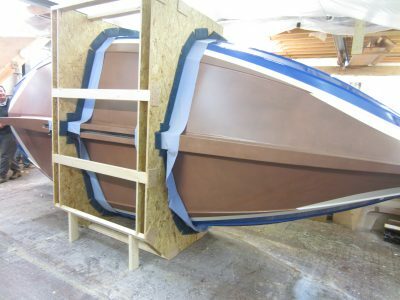 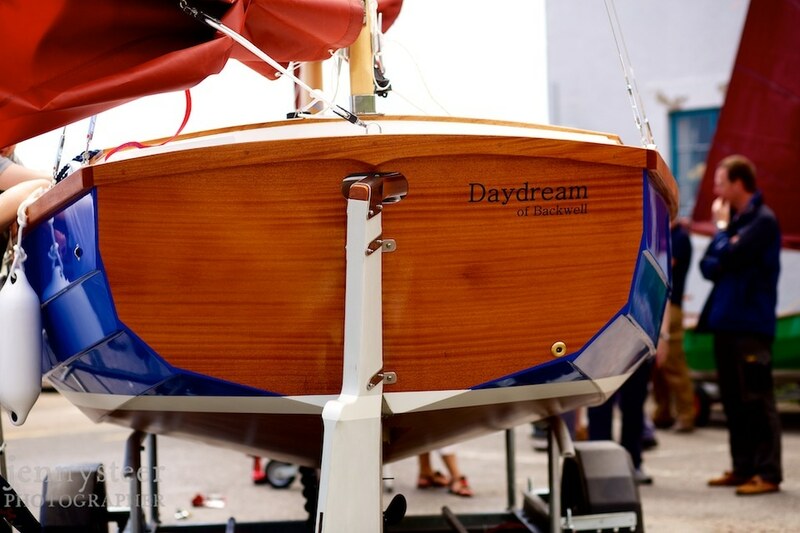 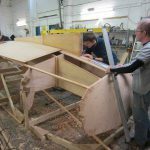 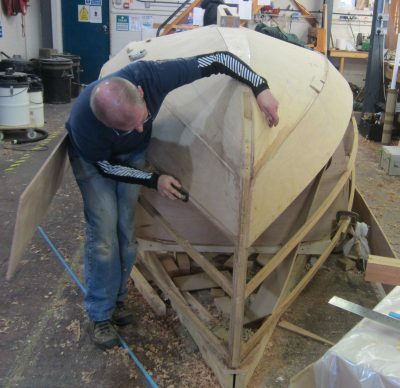 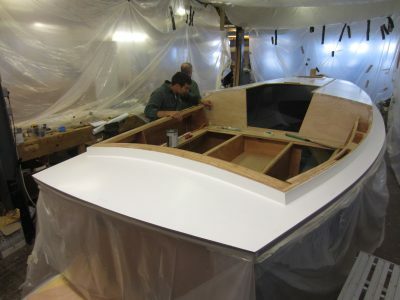 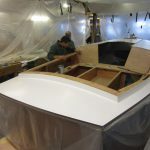 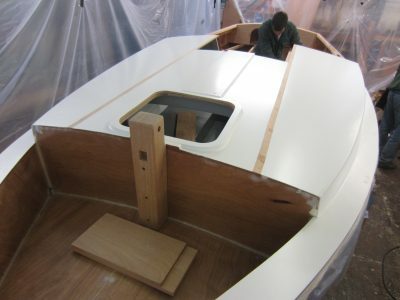 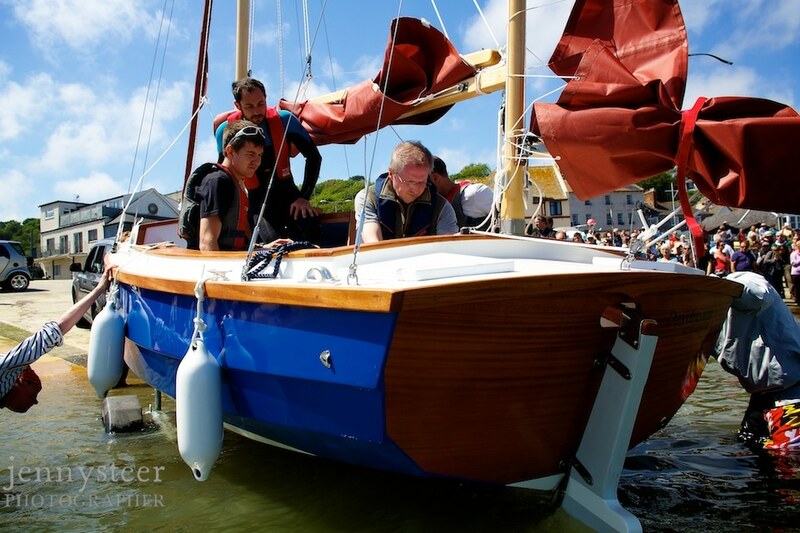 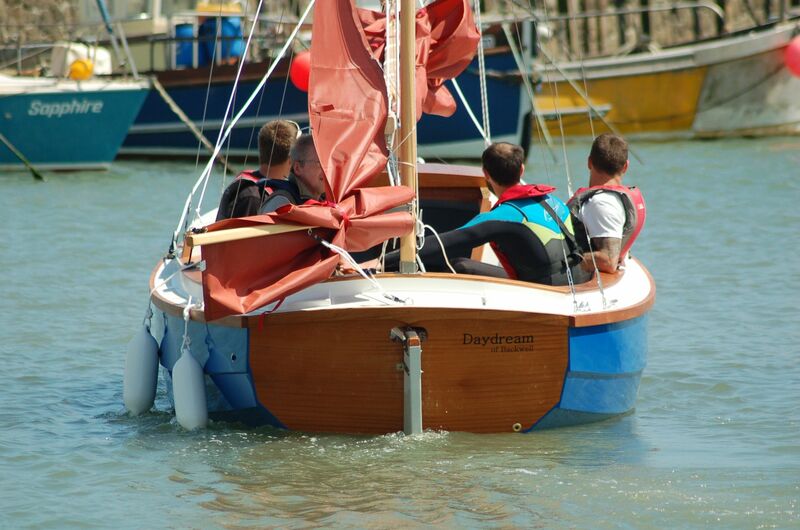 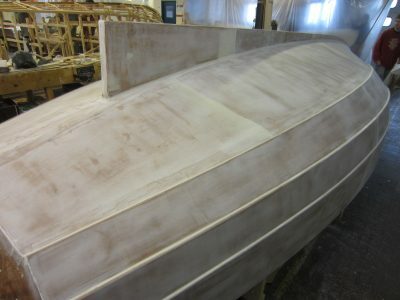 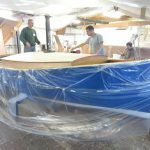 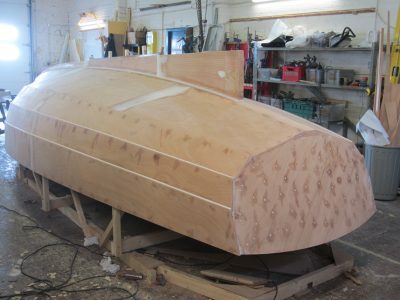 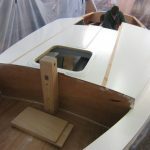 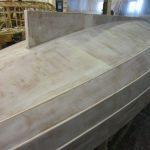 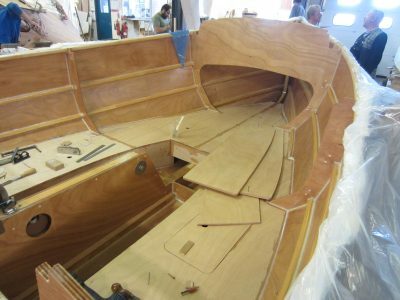 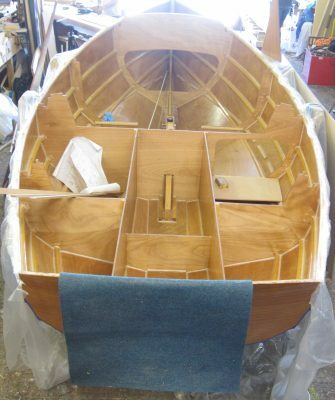 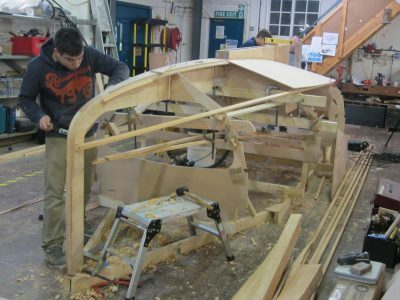 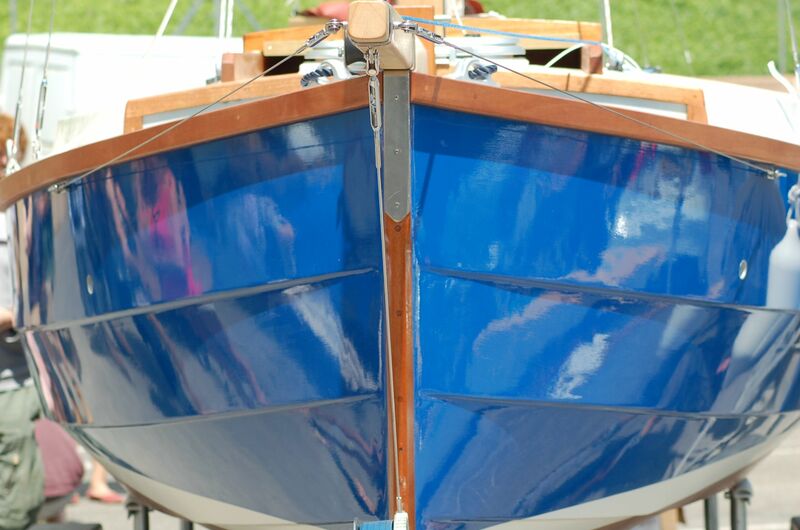 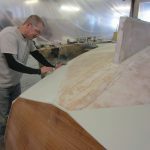 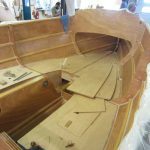 Keith McIlwain is building a 20′ Golant Ketch (the largest boat being built by the class of September 2013). 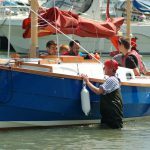 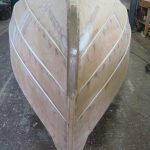 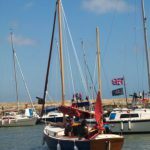 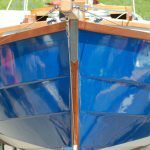 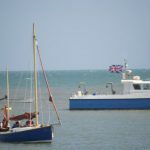 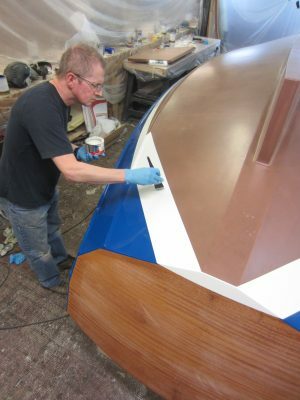 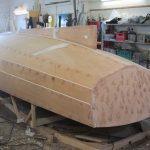 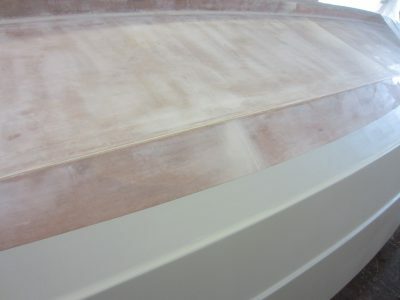 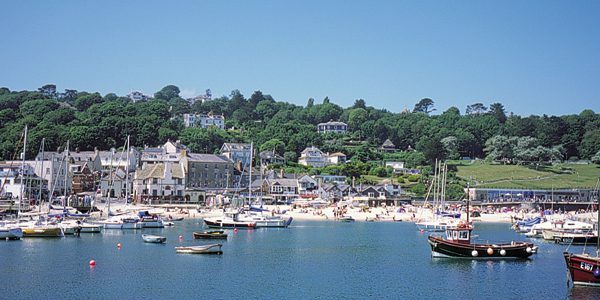 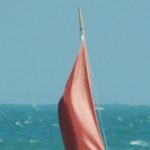 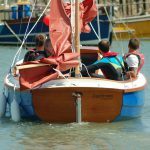 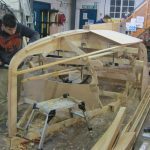 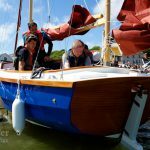 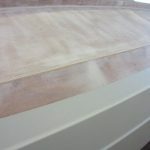 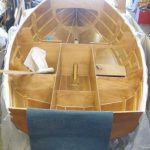 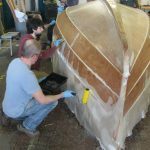 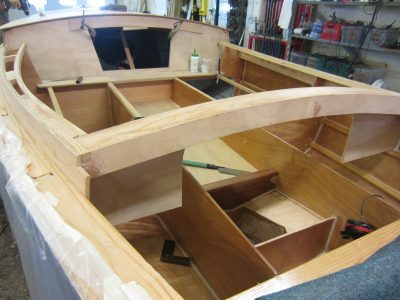 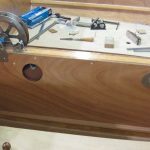 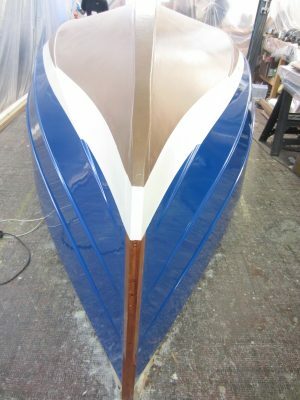 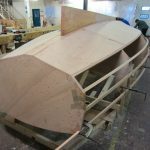 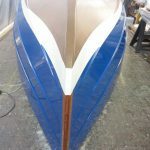 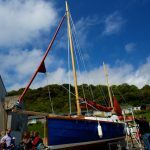 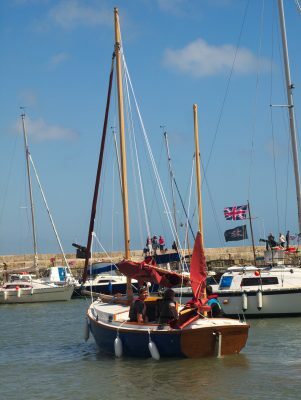 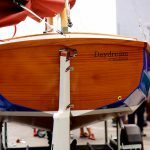 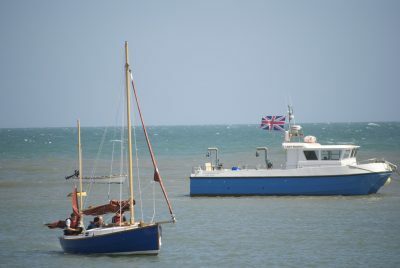 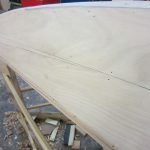 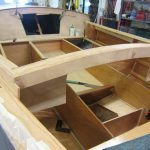 With a glued clinker on stringers hull, she will be a decked trailer sailer with lifting centreboard, outboard engine and cabin. 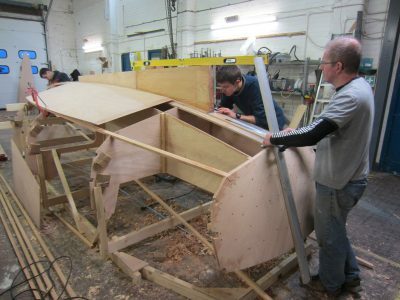 Brent Pyle and Andy Jones are working closely with Keith and Steven Roberts helped in the early stages of the build.